Specializing in new and used aftermarket motorsports parts, accessories & repair. 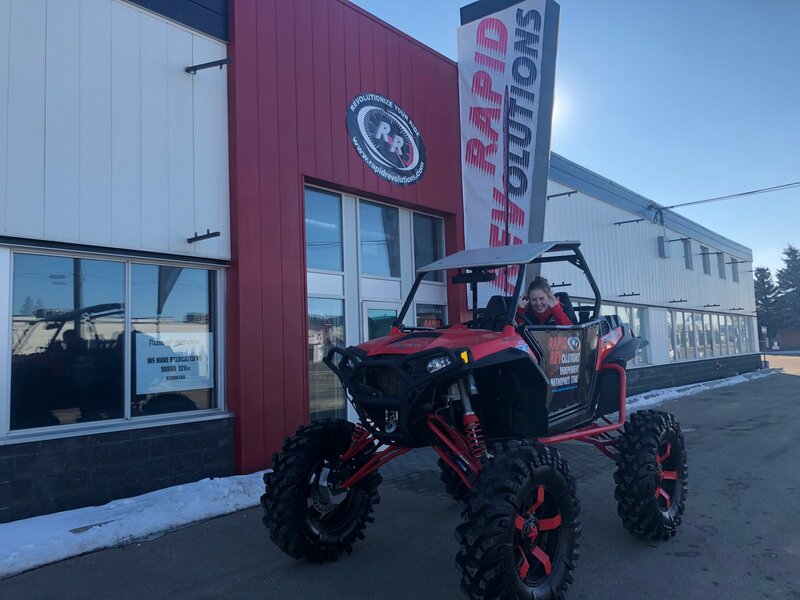 Rapid Revolutions Motorsports is proud to be family owned and operated since 2004 in Edmonton, Alberta. WIN A FREE Smittybilt 9500lb Winch at Rapid Revolutions Your Independent Motorsports Store! Rapid Revolutions has teamed up with the Cottage Life & Cabin Show to give away this prize. We will be giving away a FREE 9500lb Smittybilt winch to one lucky winner. The winner will be drawn on April 29th, 2019. Enter your details now and you will be automatically entered to WIN! We have access to millions of new motorsports parts. We also have a growing recycled parts department as well. Contact us and find out about our unique trade in program for used motorsports parts. Also feel free to ask us any parts, service or tech questions. Let us help you Revolutionize Your Ride. Whether it is a Can Am, Arctic Cat, Yamaha, Polaris, Suzuki, Honda, Kawasaki, or something else, we are happy to help. Our staff are very knowledgeable within the powersports, automotive, and truck industries. We work hard to make sure you get exactly what you need. If you are having a hard time finding something, let us do the searching for you. We can special order just about anything and can ship worldwide. 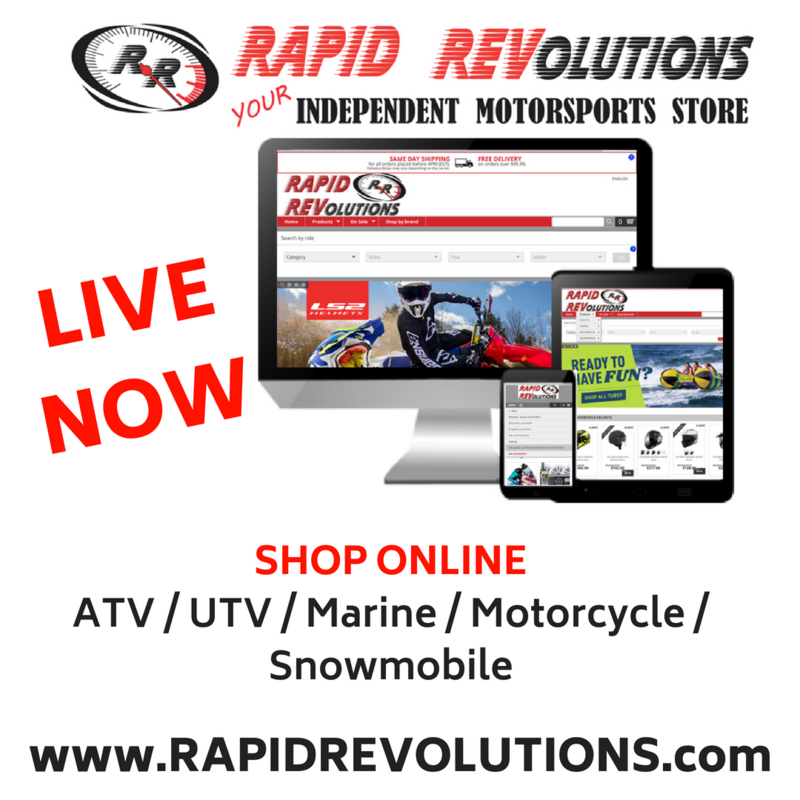 Rapid Revolutions is always looking for new motorsports products. If you see something you would like us to bring in, just let us know. We enjoy the challenge! We have moved to a much bigger and nicer location to serve you better. We now have one of the largest parts and accessories showrooms in all of WESTERN CANADA! We strive to always provide you with the best quality motorsports products to keep you out there riding with friends and family. We ship parts all over the world! Our online store is currently only drop shipping from one of our warehouses within Canada. However the store can ship anywhere. Alberta Off Highway Vehicle Association is a great resource for riding areas. We ride too… See you on the trails!